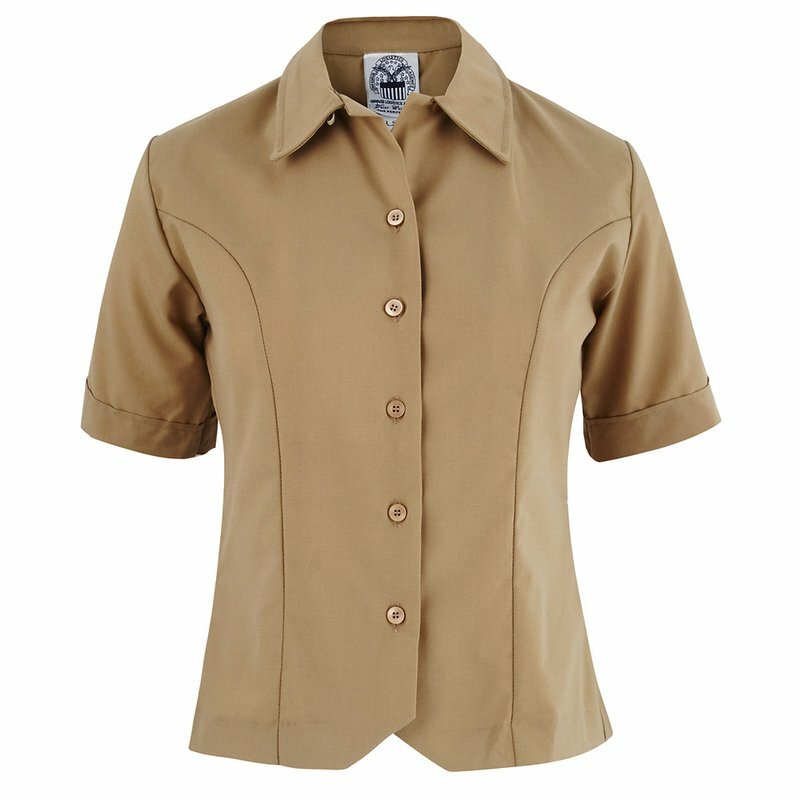 The women’s Marine Corps Poly/Wool shirt should fit smoothly over the bust and be comfortable through the shoulders. The armholes should not bind. The priority fitting is the bust measurement and then the shoulders.